St Brendan's Catholic Primary School. Many thanks to the children of St Brendan's Catholic Primary School, Corby for their brilliant donation of £161.72. They raised this money for Sports Relief. 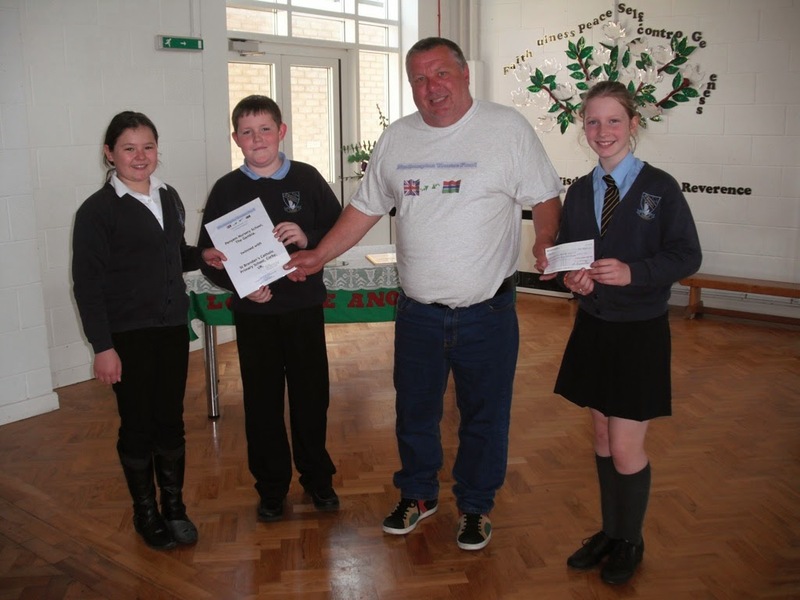 The money will help fund the Malaria Project in Penyem Village, The Gambia. The school was officially named as a Partnership School in the NTF Schools Twinning Programme with Penyem Nursery School. We are please to announce that full funding for projects in Penyem for the year 2014-2015 have been secured and sent to the village. The funding which is over £6000 covers all sponsored children, a new maintenance budget for the new village ambulance, supplement salaries for the teachers and funding for small projects.